The legal protection for people who rent their home is being strengthened in Spain through the introduction of new legislation. The country has a thriving home-building market, boosted by foreign investment, and the new government is looking to rein in some of the areas of this market. This can be seen in the statement from Development Minister Jose Luis Abalos. He stated that the government has to ensure that housing stock is primarily allocated to satisfy the right to housing and safeguarding the social function. 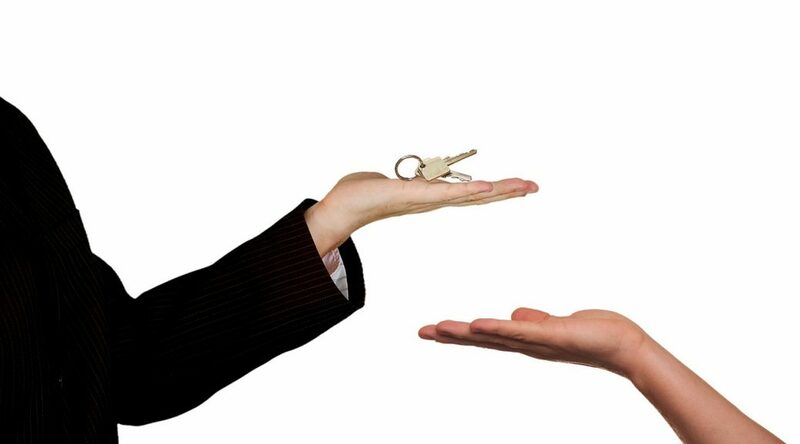 People who are buying rental properties will need to respect the terms of the existing contracts of tenants. This will avoid the post-crisis situation that councils faced where they sold social housing to private equity firms who then raised the rents. Mr Abalos also announced regulatory and fiscal measures which encourage owners of empty properties to let them. He also announced that over the next 4 to 6 years, 20,000 affordable homes will be built for people to rent. This will add to the supply of housing which makes up only 2.5% of the Spanish housing stock according to OECD. This is much lower when compared to France with 14% and Britain with 18%. There are also going to be curbs placed on deposits and the other guarantees which landlords are able to demand from potential tenants. The government is also going to be easing access to credit to help people with renting. Mr Abalos explained these measures as a means of balancing the rights of landlords and tenants as much as possible. This year, investments in malls, hotels, offices, and warehouses are set to reach its highest amount since 2007, just before the bursting of a 10-year property bubble tipped the Spanish economy into its worst slump. Now, banks are clearing a way for a real estate turnaround beating their fellow euro-zone peers with various foreclosed assets; thereby, luring foreign investors into purchasing discounted properties. Instead of slumping, Spain’s economy is now growing and outpacing the rest of Europe with 2018 set to be one of the strongest years for commercial real estate according to Savills Plc. According to the chief executive officer and founder of Madrid-based Merlin Properties, 2018 is the year when everything is supposed to come together. Ismael Clemente heads this leader in European real estate investment and states that the Spanish economy is doing well and it is considered an investor friendly nation. The banks are healthy and Spain is showing a beneficial legal infrastructure with cheap property as compared to other cities in Europe. The positive changes seen now are a far cry from the state Spain experienced one decade ago. In 2008, it was near impossible to gain investors in the Spanish real estate industry and existing investors were trying to sell their property as quickly as possible. Fortunately, recovery was experienced with a banking system bailout and the pace of the lender discount has continued clearing out any toxic real estate assets. According to Mr. de Acuna Martinez, the director of real estate consultancy firm R.R. de Acuna and Associates, the financial crisis was seen several years ago and the phones did not stop ringing until 2012 with the Spanish bank bailout. de Acuna agrees that the amount of real estate investment in 2018 is a result of the bailout because it allowed money lenders to reduce real estate loans and assets to a reasonable price that investors were willing to pay. After the bailout, Spain was able to establish Sareb – a bad bank managing approximately 50 billion euro in real estate from money lenders since 2012. It was announced on Thursday that Sareb had sold all the loans at a face value amount of 375 million euro to Deutsche Bank. This brings the overall sales figure up to 13.9 billion euro since the bank’s inception in 2012. Banco Bilbao Vizcaya Argentaria SA, the second largest bank operating in Spain, agrees to sell its foreclosed real estate assets last month. The sale price of these assets was reported to have a gross value of 13 billion euro and the sale was made to Cerberus Capital Management. Cerberus Capital Management, however, valued the assets at 5 million euro. Blackstone Group LP paid approximately 5 billion euro for 51% of the banks real estate assets in August, all of which had a gross face value of approximately 30 billion euro. The two deals mentioned above represent the lion’s share of all soured property debt sales made in 2018 reaching a current record of 48.2 billion euro. This statistic was discovered from the advisory firm, Evercore Partners International. Furthermore, this amount is more than all four preceding years combined. According to David Finkel, the managing director of Madrid-based Talus Real Estate Agency, 2018 should be a year of significant transfers of real estate loans and assets from banks to investment trusts. Finkel expects this trend to further develop in the year and expects to see transaction volumes grow as buyers of properties sell to long-term holders. At present, investment in Spain’s corporate property is said to reach approximately 8.9 billion euro by the end of the year. This is a prediction from Savills as the statistics show an increase from the 1.9 billion euro real estate profit after 2011 and an approach to the 10.8 billion euro from 2007. Just over two thirds of the investment entering Spain this year will be presented from foreign real estate buyers with retail property being the most popular type of investment. Savills data indicates that while retail property is most popular, hotels and offices are closely behind in numbers. Shopping malls in Spain offer investments a 4.25% profit opportunity as compared to the 3.75% in Paris, Frankfurt, and Berlin as seen in statistics from Knight Frank LLP. In addition to generating revenue, the real estate economy is also helping to drive deals in the country. Predictions indicate that there will be a growth from 3.1% to 2.5% in this year. This is better than any major European nations and indicates that even the turbulent political issue with Catalan will not affect the Spanish property upswing. Investing In Spain – Good Or Bad Idea? Brexit has been on everyone’s mind ever since the vote in the U.K. to remove itself from the European Union took place. But what does this mean for those who have property and other investments on the continent? After some torrid years which saw Spanish property prices plummet the country seems to to be on the path to recovery. In the last year property prices seemed to have clawed back some of their losses and investors could begin to breath a sigh of relief. This newfound confidence seems to have translated itself into an appetite for Spanish property. This is especially true for those who want to view their investment in Spanish property as long term – a buy to let opportunity. However, there are still some questions that need answers. Firstly – is this recovery just a flash in the pan? Spain took a long time to recover from the global financial crisis. However with year on year property prices increasing by around 5% it outstrips its European neighbours. But even this modest increase offers opportunity. Those prices are still far below historical highs. This darling of the British property investment community – including retirees may still represent a great opportunity. Is demand still high across all regions? Leading agency Sequre says that Spain remains a diversified market. It makes up a large proportion of its overseas market portfolio which grew by 118% in 2016.This gives them confidence that Spain is surging to the front of favoured places for Europeans, including British nationals to invest. According to the organisation there are evergreen regions such as the Costa del Sol and and Costa Blanca that remain tourist hotspots and the but to let market remains strong – an investment opportunity that should not be overlooked. Is a boom on the Horizon? After being down in the doldrums for many years Spanish construction of new accommodation seems to be picking up. Many Euros, in fact millions are being thrown at the Spanish economy in order to stimulate the economy – and much of this is trickling into the construction sector. Visit the Costa del Sol, Costa Calida or Costa Blanca and one thing becomes apparent – construction is booming. The sheer number of cranes and construction equipment is simply staggering. 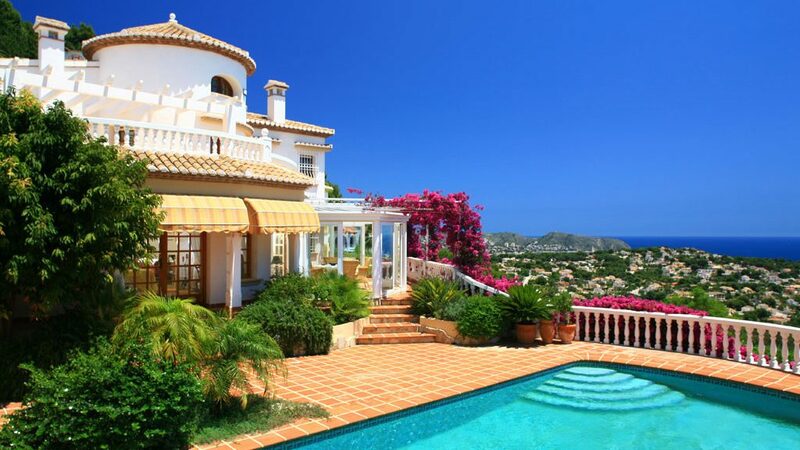 It signals a resurgence of Spain as a property investment destination. So is Spain the Best Overseas Investment? Buy to let is always a matter of doing research and exercising due diligence before making a decision. In property that is especially important. But the old saying that location is key still remains true. looking further afield in Spain may deliver exceptional results in the medium to long term. But for those who want to go with the tried and tested then those cities near to Blue Flag beaches are a great bet for exceptional return on investment. Places such as Marbella and Alicante have lways delivered due to their beach status and a great climate. For those who are looking for something a bit different and who have an appetite for big returns while minimising risk there are areas such as Mijas located in the Costa del Sol. Fairly low buy in – but rental yields that continue to grow year on year. For the savvy investor this is an area that might be worth looking at. Is Investing In Tenerife Property A Good Idea? Today there are a lot of people from Western Europe, especially in the UK who are interested in investing in properties overseas. At first glance, it may appear that the amount of attractive locations to discover an ideal apartment of holiday home for the purposes of retirement in the sunny destinations is endless. The exotic locations like the Caribbean Islands are always tempting along with the sunshine state of Florida in the U.S. Central Europe that includes mainland Spain and France are already home to a number of UK expatriates, while Eastern Europe with its latest republics that have started to pop up everywhere offers interesting possibilities. So with the abundance of outstanding choices on offer, why is it that people still think of Tenerife as the ideal choice for those who are looking to invest in properties abroad? If you had to ask 10 of the UK expatriates why they have chosen to move abroad, about 9 of these would tell you that they wanted to get away from the icy cold British winters and typically disappointing and wet summers. This offers more of a reason for you to choose a new destination after you compare the year round climates for each potential opportunity. Temperatures that can be extreme often afflict the countries that were mentioned above and humidity levels that are regarded as uncomfortable, endless dreary and dull days or tropical storms, means you are often left hoping for a couple of months to enjoy the summer sun. In comparison, the weather conditions in Tenerife are regarded as one of the best across the globe. This includes warm and comfortable summer days with average temperatures of around 82ºF (28ºC) during the day with mild and short winters which only last for around 4 months. Even in the winter months the temperature will rarely drop below 73ºF (23ºC). In addition, there are no earthquakes, hurricanes, no humidity or summer temperatures that become unbearably hot. In the UK, the housing markets often undergo cycles of property prices that fluctuate. This can mean that you may buy a home now, only to discover in a year’s time the property is worth a lot less. Tenerife does not experience unpredictable price increases or decreases, but rather moves forward each year with a rate of about 10% growth. Many Tenerife estate agents agree that property on the island offers great value, especially in premium locations where the returns have seen a steady growth. One of the other important concerns for the majority of the people that want to live “in the Sun.” It is clear that buying a property in the Caribbean or the US will involve long and costly flights, often accompanied by stopovers and then you still have to worry about getting from the airport to the home. Even a mild 2 to 3 hour flight to a country like Spain can increase this time by double or triple when you have to travel from and to the airports. And nearly everyone is aware of the traffic in regards to the UK, whereby a Friday night drive from the Midlands onto the South Coast on average will take you around 5 to 6 hours. When you compare Tenerife, you are able to fly from just about every airport in the UK to the international and modern airport in Tenerife in as little as 4 hours. From here the main locations of the South are a short 10 to 15 minute drive along their modern motorway. In previous years, language has definitely been a barrier or concern for people looking to improve their way of living. When it comes to living in warmer and gentle environments and even in a country like France or various other Central Europe parts requires an in depth knowledge when it comes to the local-tongue of these areas. In Tenerife the official language may be Spanish, but English is the language that is spoken the most extensively, and in the South is just as popular as Spanish. Security is another concern that is often raised when people are looking to buy a property abroad and needs to be thought about carefully. In the Eastern republics that mystical charm will immediately wear off, when you find out that the laws and the rules in these countries are very different to what you know in the UK. Even when it comes to Southern states in America such as close to Miami, where many people have made the decision to invest or live, there are a number of areas that are regarded as unsuitable or no-gos. When compared to Tenerife, the laws are observed in civilized and modern ways. This is not to suggest that Tenerife is a crime free area, but crime is deterred by the aggressive Policia Locale and Guardia Civil. Here the house thefts and car crimes along with common type of street crimes are far lower when compared to the majority of the British towns. In conclusion, Tenerife still remains well above most of the other options when it comes to buying a second home. This includes the outstanding weather, easy to arrive at, sound investment and a secure and safer environment for you and your family to enjoy. This also includes the stunning mountain ranges, cosmopolitan cities and beautiful beaches. This island features a number of micro-climates and travelling from one place to another you will soon discover the diversity of this island. This includes the lush and green areas of the North through the pine forests onto El Pico del Teide which is covered in snow in the winter onto the sun-drenched areas of the South. Other attractions include 10 championship golf courses, along with outstanding planned sea-diving activities, yachting, windsurfing and more. The costs of living are also low, with fuel about 50% less than what you pay in the UK, cigarettes are 25% less and eating at restaurants is also about 50% less. In addition your council rates are minimal when you compare it to what you would pay in the UK. There is also an easy link to other parts of the Canary Islands with a modern and fast ferry, which can mean you leave Los Cristianos and be walking around the stunning island of La Gomera a mere 30 minutes later. The 217 miles of the Tenerife coastline, is home to one of the most stunning unspoilt and beautiful islands. Thousands of people from the UK have already made the decision to call this paradise their homes, and every year this amount grows. 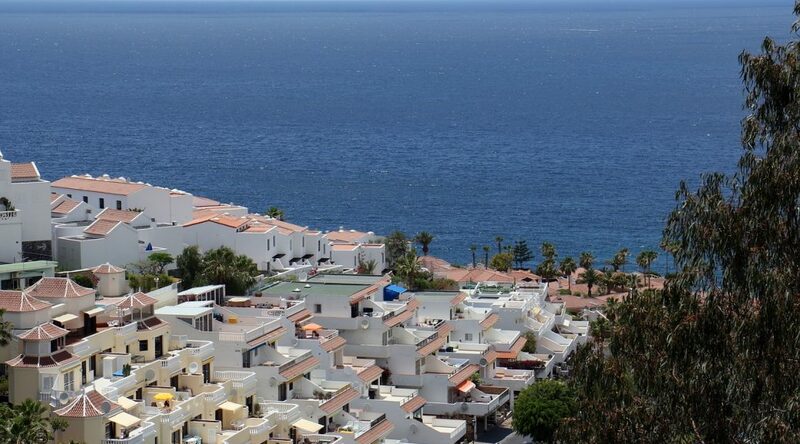 If you have had thoughts about buying an investment property, Tenerife is definitely a great deal to consider.